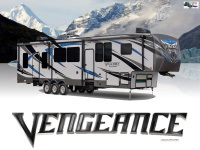 When it comes to hauling your equipment, it's not just what you WANT, it's what you NEED... ENOUGH SPACE! 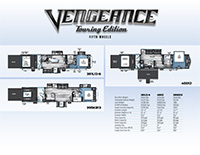 Vengeance Touring Edition does it better than anyone, without compromise. 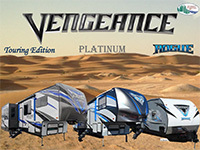 385FK13 Named RV Business 2019 Top RV Debut and RV of the Year, and "Best of Show" for 2019 by RV News!